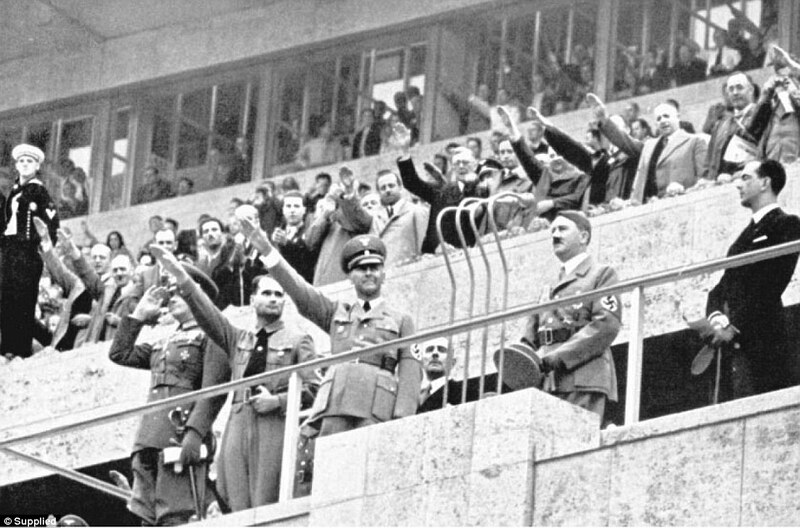 On this day in 1936 the Berlin Olympics or Hitler Olympics began. Dark days- Hitler put on a show for the world that is for sure. But something great came out of this- it had to have killed Hitler to see American Jesse Owens win four gold medals in the 100 meters, 200 meters, long jump and 4 X100 relay. Jesse high-jacked Hitler’s games and made them his own. The Olympic Stadium that was built for those games is still there- it was remodeled over a decade ago. In a little over three years World War II would be officially underway. What a powerful photograph of blind obedience to fascism!